What is continuous physical presence for TPS? The continuous physical presence requirement must be met for Temporary Protected Status eligibility. The requirement confirms that you have been physically present in the United States since the designated date for your country. For example, the continuous physical presence date for Nepal is June 24, 2015. 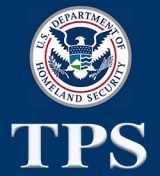 Therefore, an applicant for initial TPS registration must have been physically present inside the United States since June 24, 2015. If you cannot provide a copy of your passport or Arrival/Departure Record, you may also submit other documents from the continuous residence requirement that prove you lived in the U.S. by the continuous residence date. Examples of acceptable documents include employment records, school records, rent receipts and hospital records. The law allows an exception to the continuous physical presence requirement for brief, casual and innocent departures from the United States. When you apply or re-register for TPS, you must inform USCIS of all absences from the United States since the continuous residence date. USCIS will determine whether the exception applies in your case. Once USCIS grants you TPS benefits, use Form I-131, Application for Travel Document, to request advance parole. With an advance parole document, a TPS beneficiary may travel abroad and reenter the United States. The continuous residence requirement also must be met for TPS eligibility. It’s similar to the requirement for physical presence but is separate. What are the benefits of Temporary Protected Status? How do I attach additional records to my I-821 application? How do I submit a late filing for TPS benefits? What are the eligibility requirements for TPS? What is the continuous residence requirement for TPS?